india office The department of the British Government to which the Government of India reported between 1858 and 1947. The successor to the Court of Directors. ? P ,Z.3072/35. 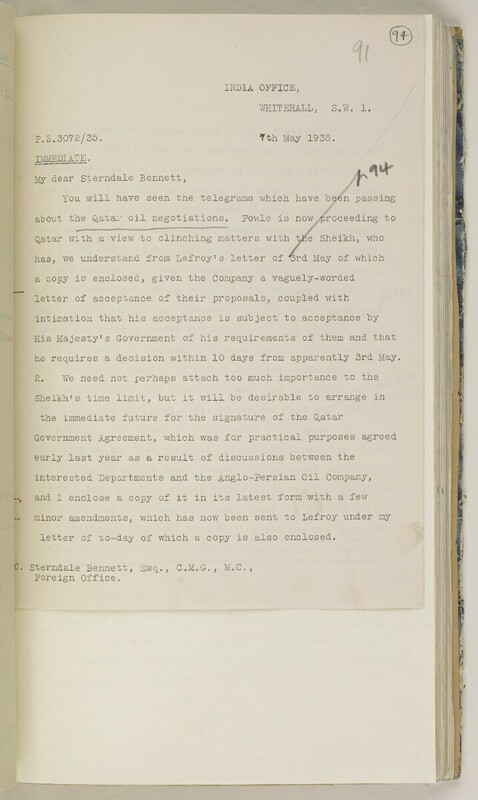 Tth May 1935.
he requires a decision within 10 days from apparently 3rd May. letter of to-day of which a copy is also enclosed.